What would happen to society if, in the future, we became reliant on android and robot labour instead of human? What, then, would happen if these androids gained sapience? Detroit: Become Human, the newest release from French studio Quantic Dream, sets out to answer these questions. The studio is divisive, with previous offerings Omikron: The Nomad Soul, Fahrenheit/Indigo Prophecy, Heavy Rain, and Beyond: Two Souls having many of both detractors and fans. The one commonality in Quantic Dream games is that they are played more like interactive movies than traditional video games, making them an excellent medium for telling in-depth stories, although the studio’s success rate has fluctuated between their games. In the case of Detroit, the interactive storytelling is even more at the forefront, and the idea of branching paths based on your decisions is heavily implemented, giving any decision added weight compared to some other story-based games. After each chapter the player is presented with a story flowchart showing their choices and the path that those choices led them on. In many chapters, the amount of missed content and alternate endings is startling, making you wonder just what you might have missed out on or done differently. Of course, any of the characters can die as well, which sometimes leads to incredibly altered storylines for the remainder of the game. This continues a trend that the studio has followed since Heavy Rain, which is that there are no fail states or game overs—no matter what happens, the story will keep moving forward. Detroit takes place in the near future of 2038, in a time when the production and use of human-like androids has become commonplace, leading to historic unemployment and civil unrest. During all of this, some androids begin displaying sapience, often after traumatic events, and start fighting their programming to take control of their own lives. 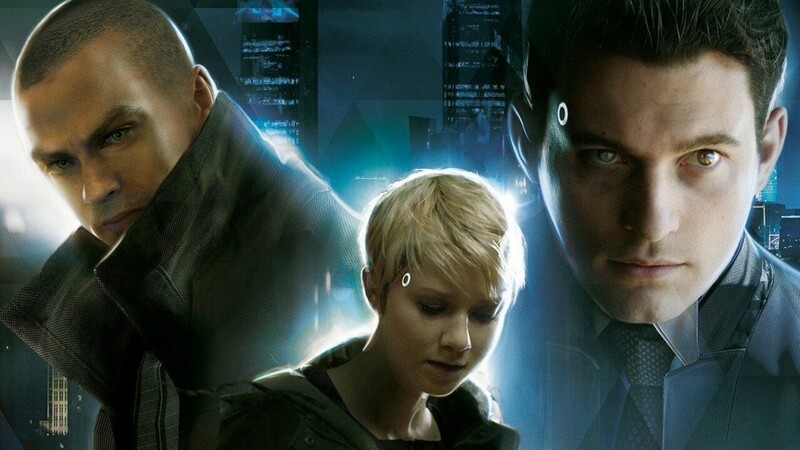 The player controls three characters throughout this story: Kara, a maid android taking care of a young girl living in poor conditions; Markus, an assistance android for a famous but aging painter; and Connor, a top-of-the-line detective android tasked with discovering why androids are rebelling, a condition known as “deviancy.” Each character’s plotlines take many twists and turns, as any good story should, and some of the plots are handled more deftly than others. In particular, the relationship between Connor and his human partner Hank is the stand-out plotline in the game, as its detective gameplay is very fun, and the development of the relationship between the partners is enjoyable and realistic. The primary problem with the game is its use of historical references as a comparison for the prejudice and struggles of androids. While some of these parallels land, many can come across as ham-fisted, which can distract from scenes that should have more impact. One other issue is the acting of deviant androids—once androids do become deviant, they are shown to behave so similarly to a human that they no longer really seem like androids. Beyond these two issues, however, the game is incredibly enjoyable, and at about 10 hours for one playthrough, it’s an easy time investment. As expected, once you play it once the temptation to go back in is hard to resist, giving this game a ton of replay value. Unfortunately, it is a PlayStation exclusive, so only those with a PS4 will be able to play it. If you do have one, though, I would definitely recommend this game.